Etymology: from the Latin opalus = opal. which derives from the Sanskrit upala = gemstone. The Opal is a gemstone which presents different colours and degrees of transparency.The opal does not have a definable chemical composition since the quantity of water contained in the mineral is always different. 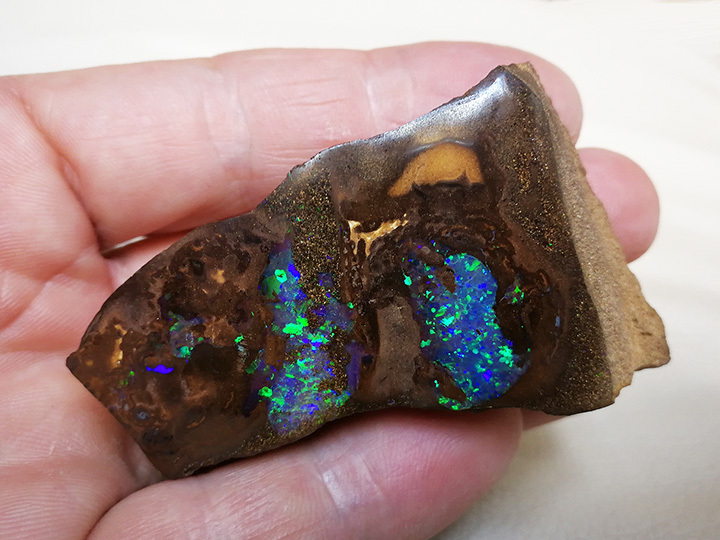 The opal is a colloidal substance constituted by amorphus hydrates silica which contains traces of calcium, magnesium, aluminium, iron and uranium. Crystallization: Crystallization is usually absent - amorphus colloidal substance. hydrate silica anhydride SiO²+H²O (in quantities that vary from 30 to 20%). 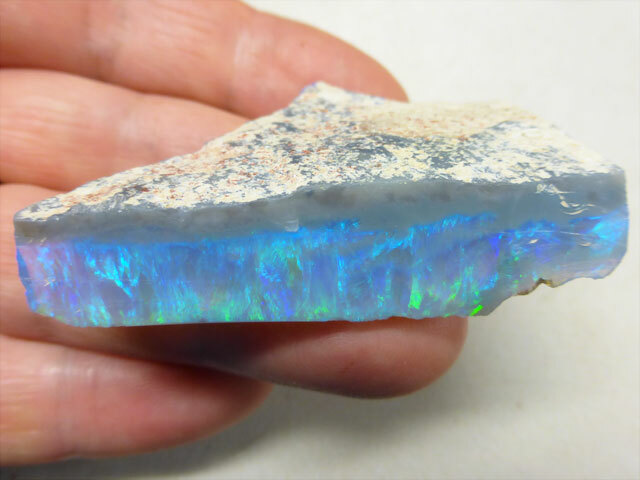 The opal formation occurs through a very slow process. This process involves the slow geologic depositing of colloidal silica gel at low temperature. The electronic microscope shows the common opal unordered spherulites (opal without any play of colours, photo at your left) and the opal gemstone ordered spherulites (precious opal, photo at you right). Mining: the opal's homeland is Australia where the major opal fields are situated e.g. Coober Pedy, Lightning Ridge, Mintabie, Quilpie, Andamooka, ecc.Mexico, Honduras, Peru, Arizona (USA) represent also major areas where the opal mining industry is profitable. 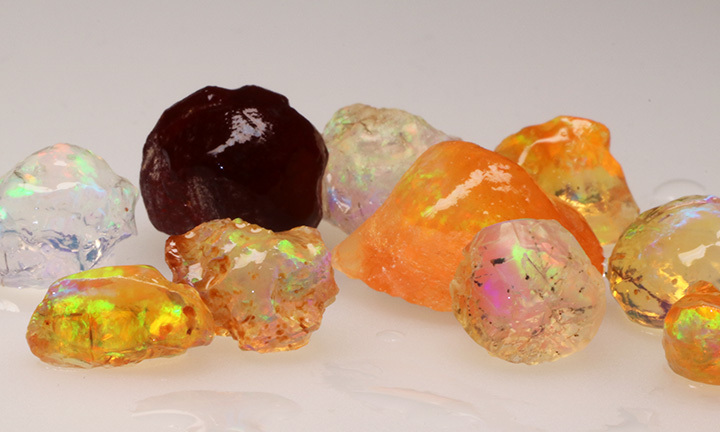 In more recent years opals coming from Ethiopian and Brazil have been invading the market, showing a great mining potentiality in these countries. Opal can also be found in other countries such as Italy. 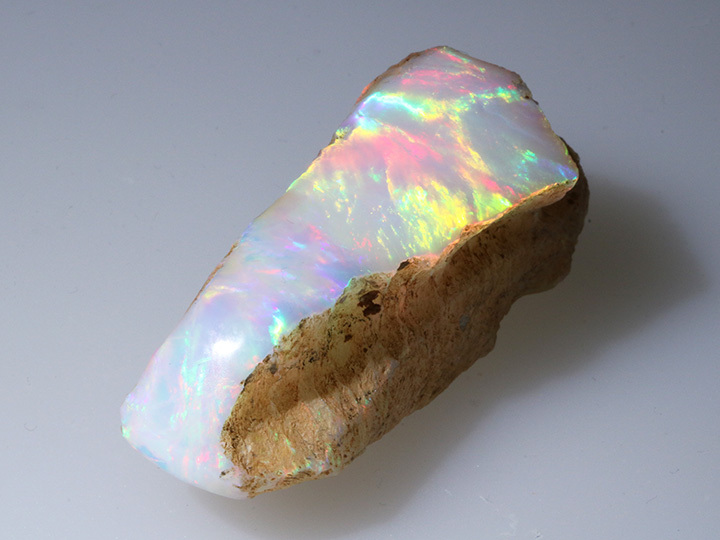 In Italy the opal is found in areas such as Baldissero (TO) Piemonte. 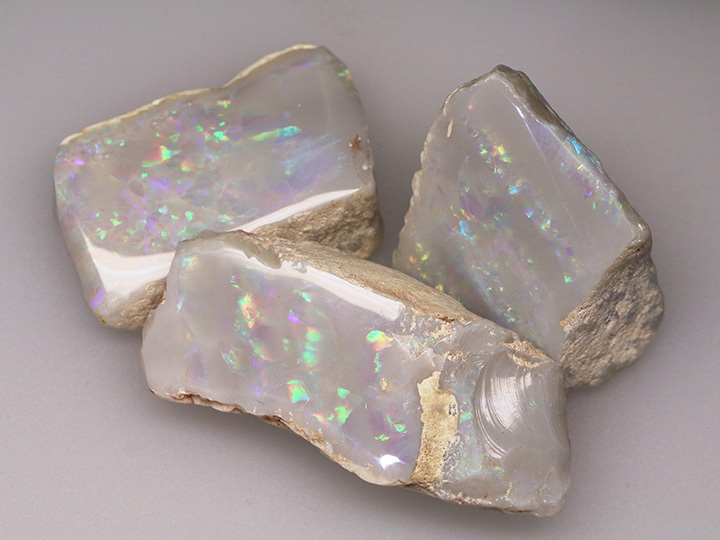 However the kind of opal found in Italy is white opal and doesn't show any play of colours and therefore it does not have any value. Variety: the opal assumes a wide range of shapes, colours and characteristics. The types of precious opals in the jewellery industry are rated in the following order from the most to the less valuable: Black opal (the most precious opal category), White opal, Grey opal, Crystal opal, Boulder opal, Matrix opall and fire opal.